The iOS 7.1 beta 2 download goes available to developers this afternoon. Apple has finally seeded the second beta of iOS 7.1 major update to all of its registered iOS developers via iOS Dev Section. The latest iOS 7.1 beta 2 download brings numerous fixes, and overall performance upgrade to iOS 7.1 beta 1 release. 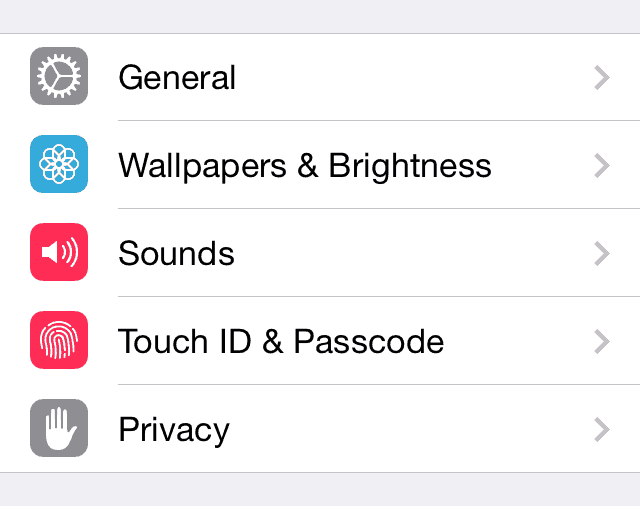 The latest beta 2 of iOS 7.1 comes with the build number 11D5115D. The users who are registered with Apple’s official program can easily download iOS 7.1 beta 2 for their iPhone or iPad devices. 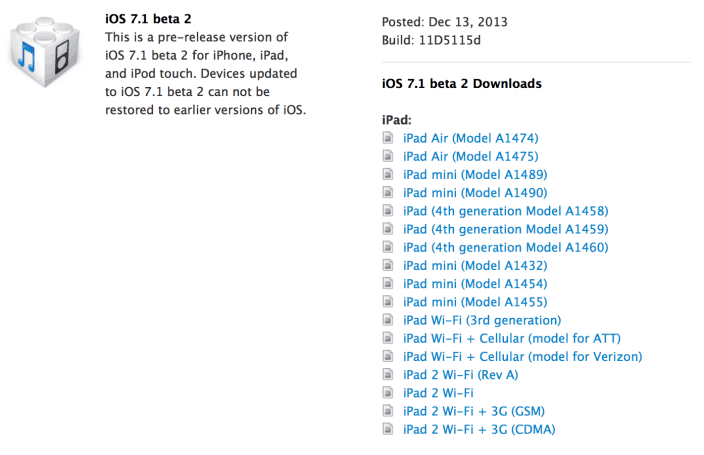 Apple releases the iOS 7.1 beta 2 download nearly after a month of beta 1 release to developers. It has brought numerous handful of changes to iOS 7 user-interface with a new feature of dark-keyboard in the iOS 7 for users. Apple has redone lots of things in user-interface to fix all the huge issues that were causing big issues to developers and other users who criticize clean layout. As we all know, the iOS 7.1 beta 2 download is currently only available to registered users, and requires registered UDID of an iPhone or iPad to run. We are going to share the direct download links of iOS 7.1 beta 2 for our readers, and will guide them about the new changes. We are already installing the update on our devices to keep you updated with changes that are being made in iOS 7.1 beta 2 download update. At the moment, we noticed Apple has change the listing view in Settings application. Furthermore, they have introduced number of new wallpapers for the iPad users. Here we have uploaded all the iOS 7.1 beta 2 IPSW for readers. You can download the direct IPSW file using this link.